Demonstration of the RightPatient Smart App to a HIMSS attendee. 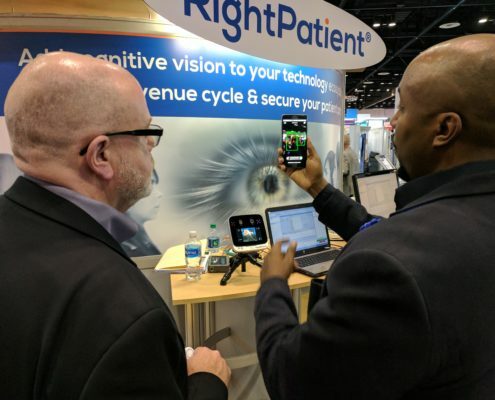 Amidst the hoopla and chaos of this year’s HIMSS conference in Orlando, we introduced a new feature for our cloud-based RightPatient biometric patient identification solution: the RightPatient Smart App. This is kind of a big deal for the healthcare industry because the RightPatient Smart App has the power to turn any smartphone or tablet into a powerful patient recognition device. As we have written about before, increased recognition of the critical importance of accurate patient identification for patient safety has played an important role in our own research and development of the RightPatient cloud biometric patient identification solution. I don’t think I’m alone in saying that most patients see patient identification as the part of our healthcare experience that starts with sitting in front of a registrar at a healthcare facility so they can obtain our insurance information and make sure we are who we claim to be. However, anyone who has spent time as a patient in a healthcare environment knows that most medical facilities don’t stop with establishing accurate identification at the point of registration. You may have your ID checked before medication disbursement, prior to the administration of a medical procedure, or perhaps just before surgery. This is important for patient safety, and to reduce the risk of adverse events from wrong patient procedures. 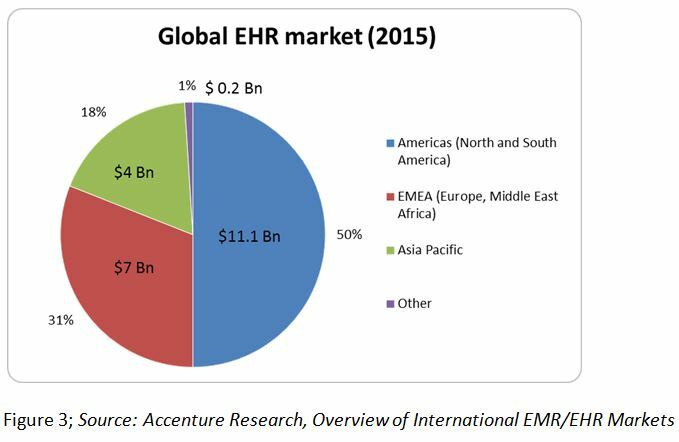 The problem is that many patient identification mistakes are still regularly made across the healthcare industry. This can cause irreparable harm to patients and providers in many cases. Fortunately, we provide the most innovative technology in the market to solve this problem. Mobile patient ID ubiquity: As mentioned earlier, the RightPatient Smart App turns any smartphone or tablet into a powerful mobile patient identification tool. Is this a big deal? Absolutely. The Smart App improves the ability of clinicians and others responsible for care administration to be responsible stewards of patient safety and compliance. It can be used as a multi-factor authentication tool along with another form of identification or act as a standalone patient ID device. Recognize patients anywhere, anytime, with any smart device. 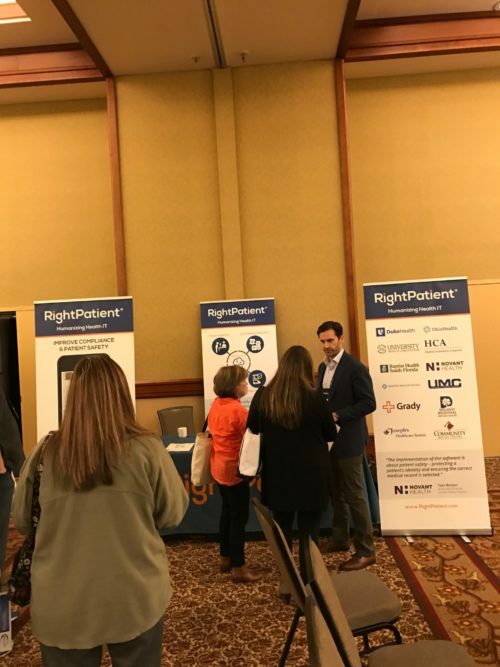 Patient photo: The Smart App matches against the patient photo that was captured by RightPatient during registration for positive identification. We have previously written about the importance of capturing high-quality patient photos and linking them to their electronic health records. RightPatient ensures that a standardized, high-quality enrollment photo is always captured. This increases the efficacy of the Smart App and ensures that providers have images that they can rely on for clinical context. Identifying unconscious patients: There are few things in healthcare more risky than treating an unconscious patient without access to their medical history. The RightPatient Smart App allows clinicians to easily identify unconscious patients through their smartphone to retrieve the patient’s medical record. The Smart App opens the door for accurate patient identification in traditional and non-traditional settings (e.g. – oncology, medical records release, EMTs, home health) – places where perhaps verifying a patient’s identity is required but may not have traditionally been on the compliance radar. The Smart App fills in the patient ID compliance holes that exist in a healthcare organization – enabling higher levels of patient safety and helping to reduce medical errors and risk. Medical errors caused by patient misidentification will continue to rise with increased data sharing and human error. In fact, the ECRI institute recently included patient identification errors in its most recent annual top-10 list of patient safety concerns. Powered by the RightPatient cloud platform, the Smart App will strengthen patient safety, reduce risk, and more effectively humanize the healthcare experience – a critical element of improving patient satisfaction and empathetic care delivery. Design and development of this new feature was a direct result of our 15 years of experience in biometric technology, listening to the needs of our customers, and delivering a practical solution that increases the power and reach of our industry-leading patient identification technology. You asked. We listened. Have questions about the RightPatient Smart App? Drop us an email at info@rightpatient.com or visit here to request a free demo. 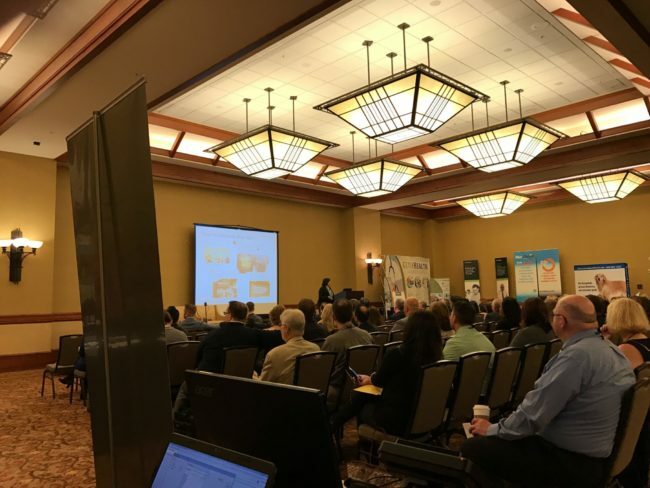 I was staying in Silicon Valley for a few weeks when I realized my visit overlapped with the HFMA Northern California Chapter’s spring conference. I decided to join Mike and meet some interesting individuals, fluent in the language of healthcare, of course. Words cannot express how valuable that decision proved to be. The weekend began effortlessly enough, as the drive from San Francisco was a mere hour and a half. I walked into the conference just in time to be greeted by a group of friendly and charming people, one of whom was a grinning and caffeinated Mike. Our booth was decorated by stunning, new pop-up banners his team had designed to perfection. So far, the stage was set for an unforgettable and impactful conference. I quickly learned how unforgettable it would truly be. 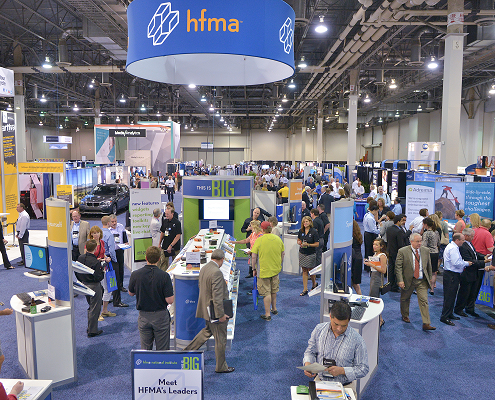 Mary Mirabelli, Vice President at Global Healthcare Services at HP as well as HFMA National Chairperson, took the stage at the show’s onset. As she began speaking, my mind raced with the sole thought of talking to her after her presentation about a potential partnership with HP (of course J). After giving an introduction and describing some of her accomplishments, Mary suddenly shifted to the topic of the show for this year – Thrive. What I imagined was a topic limited to “thriving” within the realm of healthcare suddenly took a turn to encompass a far more expansive and meaningful definition. Mary shared her story with us – not the edited version, but the real one including life’s challenges and difficult moments. Taking the crowd through a short journey of her own life, she shared the impact of losing her parents at age 14 as well as being a double cancer survivor. Life had taken the craziest jabs at her, but her spirit never shattered. She always stood up and kept moving forward. I was surreally touched by this woman’s story, so much so that I requested to take a photograph with her to show my daughter. The day proceeded as well as it had began, with great insights from Dignity’s Head of Innovation, to a superb lunch with a side of fantastic conversation with Gary Krboyan from St. Mary’s Home Health Services. 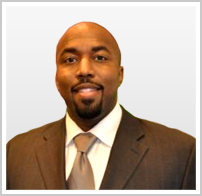 Gary is a numbers man, and provided a wise perspective on who RightPatent should target in the home health market. To add to all the fascinating conversation, Mike got to talking with Dignity and Sutter about our mobile app. Suffice it to say, the conference was an amazing experience. Unfortunately, I had to head out of the conference early to meet a self-proclaimed “connected guy” for dinner at Fisherman’s Wharf. As I was driving back to San Francisco through the rolling green hills to the left and never ending orchards to the right, I kept thinking about Mary and how she thrived regardless of the obstacles that stood in her way. As an entrepreneur, I experience my moments of extremes, as Vinod Koshla of Koshla Venture always mentions: “For entrepreneurs, highs are high and lows are low. It’s a lone journey.” Mary’s experience and tenacity inspires me today, and I hope it does the same for you – to always get back up and thrive. 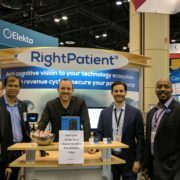 The RightPatient team had a very successful 2017 HIMSS conference. For those that attended the 2017 HIMSS Conference in Orlando, welcome back to reality! Even though the show ended last week, the reverberations and excitement of the information, technology, and ideas shared, unveiled, and discussed will be around for years to come. 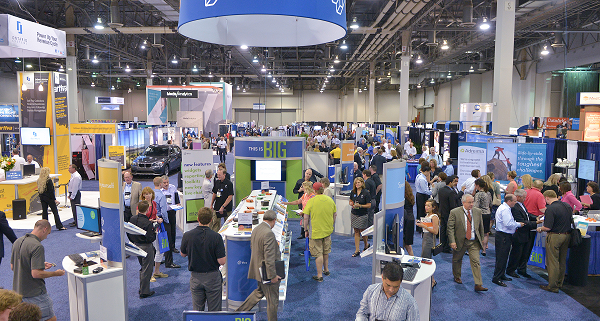 Each annual HIMSS conference presents a wealth of knowledge and showcases perhaps the most interesting and innovative healthcare technology in the world. 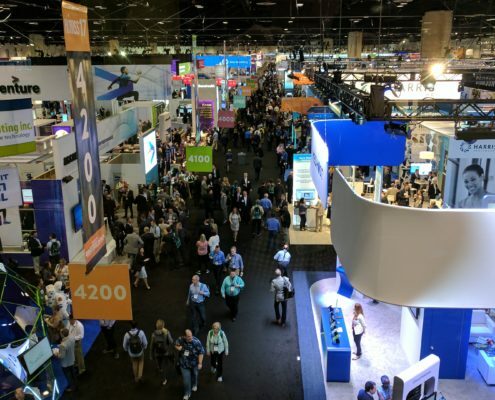 If you are lucky enough to attend HIMSS, you know that it’s easy to get swallowed up in the Exhibit Hall by vendors competing for your attention and blinded by the flashing lights, spinning booth displays, and boisterous entertainment. Unless you map out a specific vendor path destination or have a pre-determined agenda scheduled, things can get rather dicey navigating the hordes of people congregating in the aisles. For those of you that took the time to stop by and visit us in the GA Health IT Pavilion (Booth #3015) to see how cognitive vision intelligence can improve patient safety and increase revenue though accurate patient identification, a sincere thank you. You were treated to not only our innovative and unique approach to solving the patient identity crises in healthcare through the use of photo biometrics, but you also were on hand to witness the unveiling of PatientLens™ – a human vision app to reduce medical errors and increase patient safety that turns any smart device into a powerful, intuitive patient ID tool. You learned that PatientLens helps to identify unconscious patients in seconds and is an important part of an overarching strategy to reduce medical errors along the care continuum by positively identifying a patient prior to rendering services or distributing data. After all, it’s no longer feasible or realistic to define patient ID solely in the context of a physical visit to a healthcare organization. 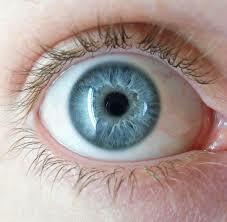 Patient identification must now be viewed as critical during each and every touchpoint along the care continuum – e.g. 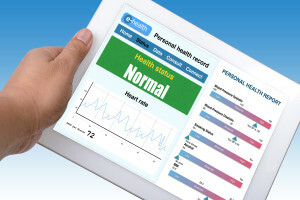 connected health apps, telemedicine, home health, and patient portals. 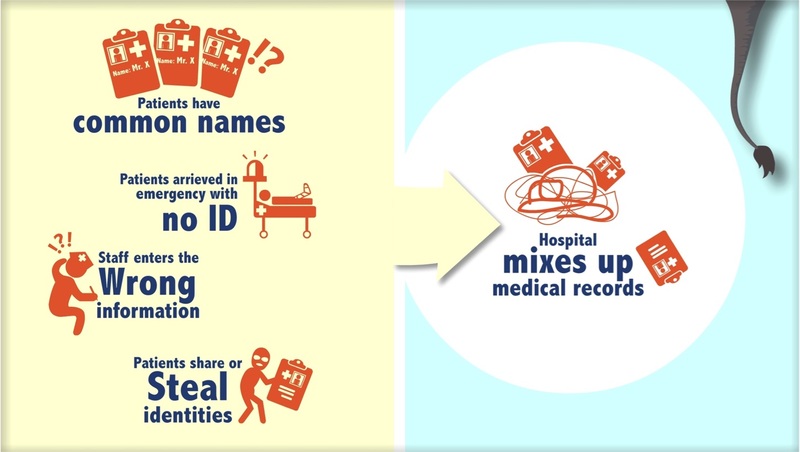 Investing in a patient ID and patient data integrity technology that can only be used when a patient physically shows up for a visit is an antiquated and somewhat risky and dangerous approach. Another fantastic year at HIMSS! The exhibit floor was very busy. The time is now to learn more about establishing a holistic approach to patient ID that addresses the positive identification of increasingly mobile patients with cognitive vision technology that saves lives, improves quality and reduces risk. 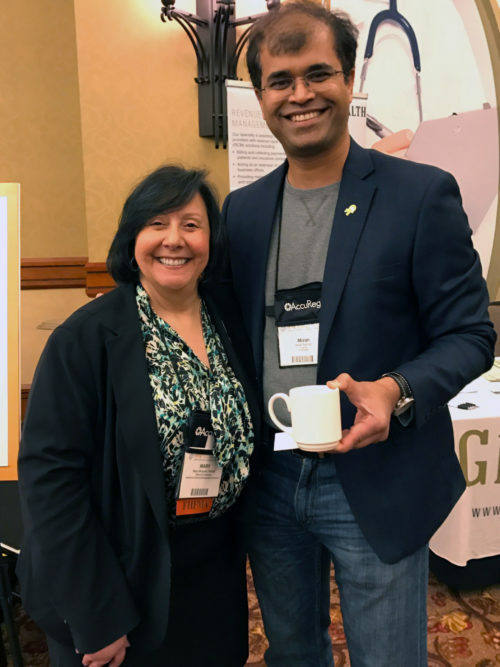 We would like to take a moment and announce that John Faust, VP of Health Informatics and Technology at Lifepont health was the winner of our Amazon Echo booth giveaway. Congratulations John! We would also like to extend a thank you to the GA Department of Economic Development and the Atlanta Area Chamber of Commerce for the opportunity to share booth space and for making the entire logistical process smooth as silk. We are very grateful! Particularly in emergency situations, wireless biometric patient identification devices offer convenience and portability to ensure patient safety. You know the drill. A trauma patient is whisked into the emergency room bypassing the normal registration process to receive immediate care. 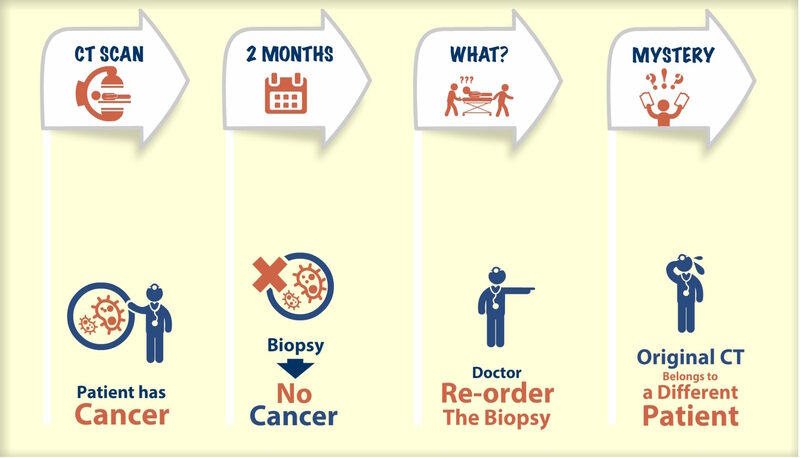 Despite the patient’s condition, you as a patient registration representative are still responsible for establishing the patient’s identity, verifying their insurance eligibility, and ensuring that services rendered are allocated to the proper electronic medical record so the hospital can maintain high levels of data integrity and secure accurate revenue cycle compensation. Or, perhaps a handicap or disabled patient arrives at your facility and you may have to adjust normal registration procedures to compensate for their condition which may involve approaching the patient in the waiting room instead of asking them to approach you. 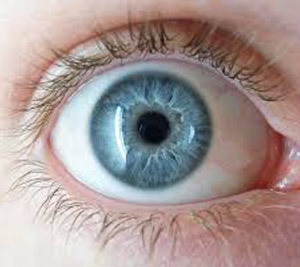 Whatever the case may be, some hospitals that have implemented biometrics for patient identification now have the ability to use a wireless camera to identify a patient at bedside or in-person, adding registration flexibility and removing the need to deal with the often cumbersome tangle of wires, USB cables, and devices on computers on wheels (COWs) or workstation on wheels (WOWs). These hospitals understand that wireless, portable patient identification offers distinct advantages to quickly identify patients with special conditions without the restrictions of a USB connection that may limit mobility and waste valuable time. The ability to quickly, easily, and accurately identify patients in emergency situations can often be the difference between life and death. Think about identifying an unconscious or unknown patient who arrives in the Emergency Department (ED) with a long medical history that includes medication allergies or important pre-existing conditions. Treating a patient in the absence of this critical health data not only endangers their health, but it presents a huge liability to the hospital should something go wrong based on missing or incomplete information. Not to mention that fact that in healthcare, especially in emergency situations, seconds matter. Innovative wireless patient identification devices increase productivity by saving time without compensating accuracy during the registration process. 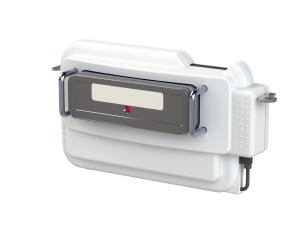 Characterized by their mobility and efficiency, these devices are configured to seamlessly communicate with biometric patient identification systems integrated with electronic health record (EHR) platforms to ensure 100% accuracy. Wireless devices are revolutionizing patient identification in healthcare by combining the speed and accuracy of biometrics with a convenient and portable design that eliminates the frustration of maneuvering cumbersome COWs and WOWs and the restrictions of USB connected devices. 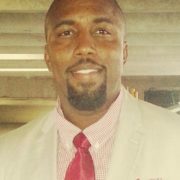 Specifically designed to ensure patient safety, lower hospital liability, and strengthen and sustain patient data integrity, wireless patient identification devices almost seem to be a “must have” for any hospital that is vested in ensuring the highest quality care, especially amid challenging conditions. Interested in learning more? Drop us a note and we will be happy to set up a no obligation demo to show you firsthand how these devices operate, and provide more details about the advantages.